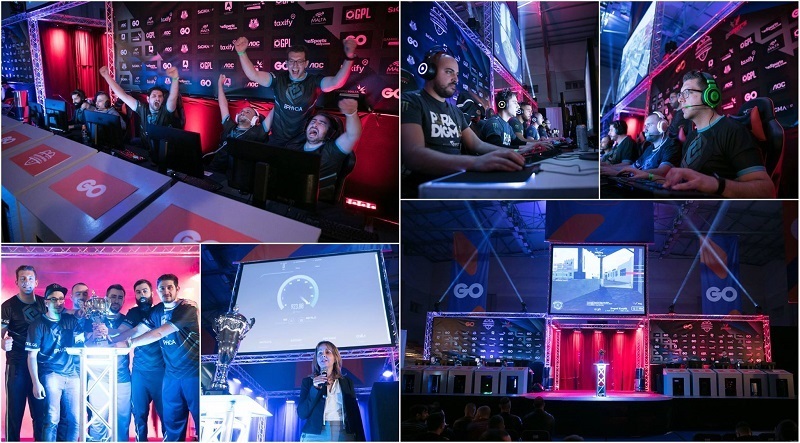 The GO Malta Esports Festival 2018 between the 7th and 9th of December is set to be the largest Esports Festival of its kind that Malta is yet to see. We’re taking gaming to one of the largest commercial centres on the island, that being the Malta Fairs and Conventions Centre in Ta’ Qali, with the central stage being the largest yet. 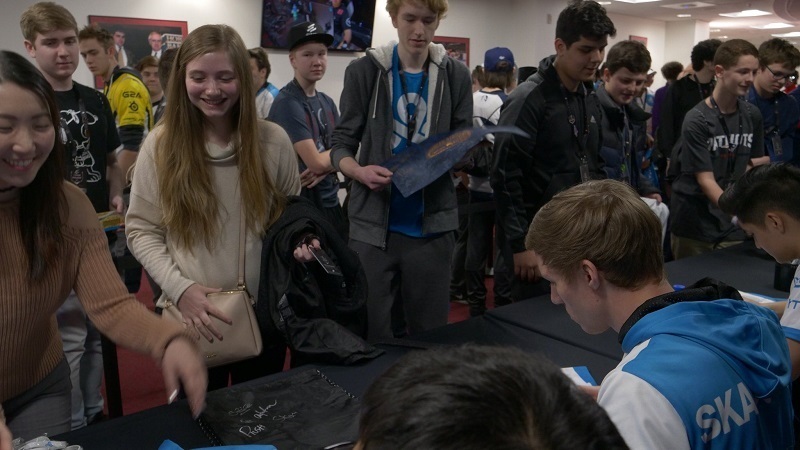 Of course, the spectators’ main objective is to observe high-quality esports; made possible thanks to the top-class tournaments being organized, fuelled by large prize pools, inducing a new dimension of competition within participants. Amongst these competitors, foreign professional players will be present beside the many Maltese getting involved. Get ready for a complete show during Friday's Opening Ceremony at 7pm with short speeches from Maltese key figures in the esports Industry and also a feature showing Gamers.com.mt's journey throughout the years. 2. Cosplayers Enter for Free!! Yes you heard right! Gamers.com.mt will be providing free spectator entrance to cosplayers for the upcoming event. Feel free to emulate your favourite characters; we know that many of you will show up and demonstrate the strength of the cosplaying community - with that being said, this is something we're bound to continue carrying out. 3. Children under 11 Enter for Free!! All children under the age of 11 accompanied by their parents can enter the festival completely FREE and enjoy the great atmosphere together with all the other gamers coming to the event. 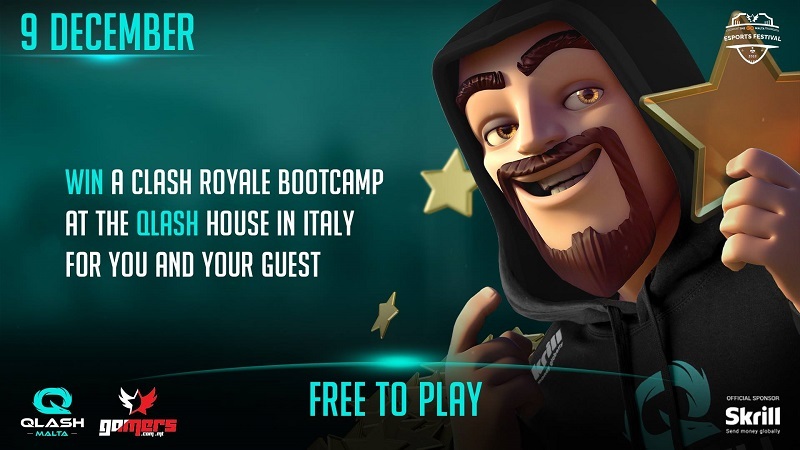 On the 9th of December Qlash Malta will be organising a FREE Clash Royale Tournament where all local players are invited to come and battle one another to win an amazing prize, a Clash Royale Bootcamp at the Qlash House in Treviso Italy with all expenses paid for the winner and one guest! Just bring your device and register till noon. Do not forget to bring your chargers! 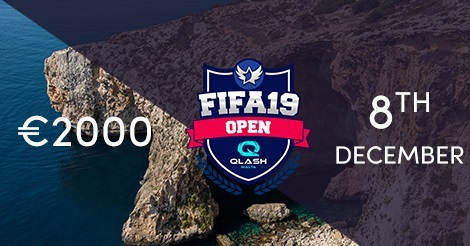 We have teamed up with Qlash a foreign Italian esports organization to bring you the Qlash FIFA 19 Tournament. Starting with registration on Saturday 8th December 10.30am with the actual games starting at 12pm participants will compete against players from two skill levels (amateurs and pros) in order to find the title winner of each level. This is your opportunity to show off your talents and skills in gaming more than ever before. We will be splitting the players in two tournaments after the groups stage: Gold and Silver Tournament. Full info can be found on the tournament's website, while the last set of tickets can be purchased online or from the Gamers Lounge in Msida. Come and watch pro CS:GO players battle it out on stage on Saturday and Sunday in order to be crowned champion in our $15,000 tournament, while 16 Call of Duty Black Ops 4 teams from all over Europe will be fighting for a €5,000 prize pot with some of the games being played live on stage on Friday evening and Sunday afternoon. Be sure to visit the Gamers Lounge Stand where 10 PCs will be setup for you to enjoy some gaming time with friends for FREE. In addition you can come try out some cool gaming equipment from the brands you love with special discounted prices throughout the weekend. Have you ever experienced the VR world? What it feels like to be under water, on the highest building or out in space - all these while wearing a VR headset? Truth be told, it is one hell of a journey - and we have made this possible for you thanks to Battlemaxx which will be presenting this to the general audience at the festival. One of the recent trends we've acknowledged in the local community is the recent excitement regarding the SIMRacing scene, thanks to the care of companies such as World Pro Racing. Therefore, it only made sense to include the esport in the event, in order to continue kickstarting the scene! All the action will take place from the 7th through to the 9th of December. 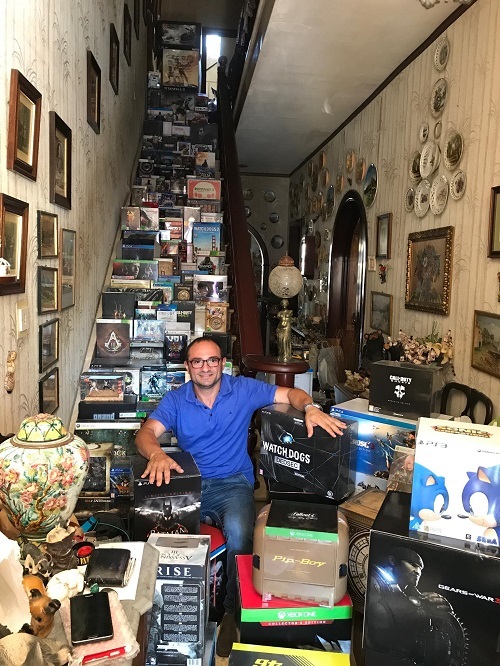 We've got Robert Borg, probably Malta's best gaming collector. An avid collector, while being a caring father and a hard-worker, who aims to spread the word of collecting on the island. Be sure to come and visit a very small part of his exhibition and have a chat with a true gamer and ask him the famous question "How could someone find all the time to play all these games?" Iron Visionary Team will be organising n a Tekken Tournament on Sunday 9th starting at 12pm. They will be doing a Sensei and Student Challange were the aim is to be have the best Tekken players teaming up with others in order to work together as a team by putting their partner in the same light as themselves. Come and meet this wonderful community and have a chat with others sharing the same passion as you do.